Extreme Sports? Life Insurance? Maybe not! Extreme sports can make it difficult or even impossible for you to get life insurance. Surprised? Statistically, a coin collector will likely live longer than someone who enjoys bungee jumping. So, if you thrive on the adrenaline rushes that only extreme sports can give you, be aware that your chance of getting life insurance at preferred rates (or maybe at all) will be diminished if you engage in certain pastimes. Whether you get your thrills on earth, water, snow, ice or air, insurers will take into account your risky hobbies and your level of competence when determining premiums or even if they want to accept the risk of taking you on as a customer. While there are many ways to push your fun to the limit—mountain climbing, skydiving and scuba diving will always raise red flags—there are some sports that push right on by those limits and create a risk that few insurers will be willing to take on. Ice-climbing: Self-inflicted puncture wounds from crampons, those metal plates with spikes fixed to the bottom of the hiking boot, are not the only danger from this sport. There is always the threat of cracked ice breaking free and taking the unlucky climber with it. Cliff diving: Think about the consequences of diving from a ledge that is 80 or 90 feet above the sea. Even if you survive the jarring impact from a perfect dive, you may have to contend with rocks below the surface. And this assumes that you didn’t hit the side of the cliff before you reached the water. Or maybe you weren’t able to execute the dive and have hit the water awkwardly, breaking bones or injuring your spine. It’s no mystery why insurers frown on this activity. Freerunning: An acrobatic and athletic discipline, freerunning is an urban activity in which participants leap from roof to roof, negotiating any obstacles, at maximum velocity. No parachutes, no ropes, no nets—and, understandably, no insurance! Street luge: Street luge was created when downhill skateboarders found they could reach higher speeds by lying down on their skateboards. Riders on street luge boards can reportedly top out at 70 to 80 mph, making it almost impossible to get life insurance if you choose to participate in this extreme sport. Heli-skiing: This type of downhill skiing is done at remote locations accessible by helicopter only. Skiers board the helicopter and are carried to a landing zone on the mountain. Risks include those of any back country skiing, including avalanches, tree wells, and the inherent risks of helicopter flight. Not surprisingly, this sport is banned in Germany and France. Huge-wave surfing: Every surfer dreams of catching and riding that 50-foot monster wave. Many are willing to journey to the ends of the earth to find one. Unfortunately, they may find more than they hoped for—broken bones, shark bites, drowning, and life insurance denial can also be part of this adventure. Base jumping: Parachuting or wingsuit flying from a fixed structure or cliff is known as base jumping. It’s also known as a surefire way to be denied life insurance. Because of the lower altitudes of the jumps, base jumping is significantly more dangerous than skydiving from a plane. Base jumping is prohibited in many locations, including the United States. So, if you decide to try it anyway, you stand to lose your life insurance and your freedom! It Doesn't Pay to Cheat on Your Life Insurance Questionnaire! Honesty is the best policy—especially when it’s a life insurance policy. Be honest about your extreme sports hobby when you apply and be prepared to pay a higher premium if you engage in extreme sports. The most common reason life insurers deny a death claim is because of "material misrepresentation" on an insurance application. If you should be killed in an extreme sport accident, your loved ones might be hurt. That’s a risk you should not take. Because we're independent insurance agents we're free to shop among competing insurance providers to find you the right life insurance at the right price. It also helps us find a company who may be willing to insure you despite your extreme sports activities. For more information about life insurance, contact us online or call us at (800) 947-1270 or (610) 775-3848. Is 10x Your Salary in Life Insurance Right for You? Question: How much life insurance do you need? This answer implies that there is work ahead. There is no standard lump-sum figure or, at the very least, a formula that can be used to arrive at the right amount of life insurance for you. In the past, traditional schools of thought have suggested that seven to ten times a person’s annual salary should be sufficient coverage. But, does this one-size-fits-allapproach apply to your situation? Maybe, maybe not. What Factors Go Into Determining How Much Life Insurance You Need? And remember, just because you are a stay-at-home parent without income doesn’t mean you can forego life insurance. Childcare is expensive and hiring someone to take over your household responsibilities could put a sizable strain on your family’s budget. If you have long-term financial goals, now is the time to think about how those plans would be affected by the loss of your paycheck. If your children are young, your life insurance might be needed to support them for quite a few years in your absence. In the case of a special-needs child, it will probably be for a lifetime. In addition to your income, your family will likely be losing your employer-provided health insurance, which would amount to thousands of dollars in premiums each year to replace it. 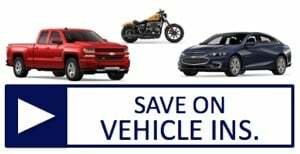 Consider that your family will have to trade in an aging vehicle at some point or that a teenage driver might need a car for school, a part-time job, or commuting to college. If these and other long-term goals are part of your planning today, it is important to provide for them in your life insurance estimates. One important consideration about life insurance at work is that it is only a benefit as long as you are working at that company. If you change jobs, you might end up with less coverage or none at all. For that reason, it might make sense to exclude this coverage from your calculations. Underestimating your future financial needs will leave you underinsured. And if you believe that you can buy more insurance in the future, understand that will only work if you are as healthy then as you are now. Unexpected illnesses could make your future life insurance premiums prohibitively expensive—if you can get coverage at all. Coming up with an accurate life insurance amount can seem like a daunting task, but you don’t have to tackle it by yourself. Click here to contact us or call us at (800) 947-1270 or (610) 775-3848; we can guide you through the process, and help you to arrive at a life insurance number that’s right for you. 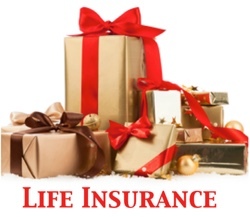 Life insurance is a key component in any financial plan. Its death benefit creates an immediate estate for beneficiaries that will provide them with income, cash for college or other capital needs, and funds to pay taxes, funeral expenses, or administrative costs. It can pay off a mortgage or retire other debts. In its simplest form, it pays cash when an insured individual dies, but did you know that a life insurance policy can be set up in such a way that it is beneficial during a policyholder’s lifetime? Term life insurance pays a predetermined amount of money when a person dies. It is in force for a specified period (term) and may be renewed if needed. It provides a death benefit only. Permanent life insurance, as the name implies, is set up to last a lifetime. Like term insurance, it too provides a death benefit, but that is where the similarity ends. Whole life insurance (the more common designation for permanent insurance) accumulates tax-sheltered cash values that can be accessed by the insured. Although not guaranteed, there may also be dividends that are similar to those paid to stock owners. Also, unlike the premiums on term insurance, which increase at the end of each term, the premiums for whole life remain level. 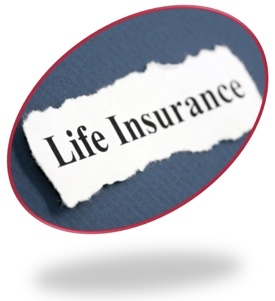 How Can the Accumulated Cash From a Life Insurance Policy Be Used? Help with college tuition. If the cash value is large enough, all of the hassles of applying for bank loans or filling out financial aid forms can be eliminated. Using the money in your policy is probably preferable to tapping retirement savings or home equity, but it’s best to consult your agent to be sure. Start your own business. Starting a business may be your dream, but your bank may see it as their nightmare. If your savings and private borrowing from friends and family aren’t enough to get your venture moving forward, using your cash value might be sufficient to fill the gap. Take time off to attend to family matters. An untimely accident or illness to a family member may require you to take an unpaid leave of absence from your job. Aging parents are especially vulnerable and may need help for weeks or even months during their recovery. The accumulated cash in your whole life policy can replace lost income. Get funds to sustain you during a chronic illness. If you are chronically ill and unable to perform all of the activities of daily living, some permanent policies will allow you early access to your death benefit. If yours doesn’t, the accumulated cash value can still be used until you recover sufficiently. Whether you access your death benefit or cash value, the money taken out will reduce the amount your beneficiaries receive. Use your cash value to fund the early years of retirement. Your 401(k) and IRA can continue to grow tax-deferred if you live off your cash value early in retirement. The relative safety of your insurance money allows you to take on more risk and growth potential in your other sheltered accounts for several more years. These examples are not appropriate for everyone. A professional insurance advisor from American Insuring Group can analyze your circumstances and help you find the term or whole life insurance policy that's right for you. Click here to contact us, or give us a call at (800) 947-1270 or (610) 775-3848. Did you recently get married? Have you started thinking about having children? Are you already pregnant? Congratulations! This is a very exciting time in your life! Next question…Have you thought about life insurance? Your life insurance needs will probably change significantly once your baby is born. The task of regular feedings and diaper changes will probably have you struggling to sneak in some shut-eye, and I can pretty much guarantee that preparing for the "what-ifs" in life will move to the bottom of your to-do list. Whether you become a stay-at-home mom or work outside the home, it’s important that you plan for the “what if” something were to happen to you. Life insurance helps ensure that your child can be properly cared for and that your family doesn’t face financial hardship. Can Pregnancy Affect Life Insurance? Sounds like a crazy question, right? Pregnancy isn’t a disease; it’s the way children have been brought into the world since the beginning of time. In the vast majority of cases, pregnancy has no effect what-so-ever on life insurance rates. If it’s early in your pregnancy and there are no medical complications, your life insurance should be unaffected. However, on rare occasions, pregnancy can affect your policy rate and/or your ability to obtain life insurance. If you’re farther along and there are medical issues, some insurance companies may force you to wait until after your child is born to purchase life insurance. The most common medical issue for pregnant women is gestational diabetes. Between 3 and 10 % of all pregnant women experience gestational diabetes at some point during their pregnancy. While this issue usually disappears upon the birth of the baby, there are instances when it can lead to other forms of diabetes, such as type I or type II diabetes. Another risk is if the mother gains excessive weight during her pregnancy. This can cause preeclampsia, which can affect the liver, kidney, and even brain function. If she is unable to lose the excessive weight after childbirth, she can develop other conditions, such as high blood pressure, that can also affect insurance premiums. In some cases it makes sense to wait to apply for life insurance until well after the delivery so the new mom has time to deal with the after effects of pregnancy. The lower premium rates will allow her to save money and/or enable her to buy a larger amount of life insurance. This is fine if you already have a life insurance policy in place. If not, you could have inadequate coverage, leaving your family vulnerable to financial hardship. Therefore, we recommend that you look at your life insurance needs prior to planning for a family. Term life insurance costs less than permanent, making it more affordable for young families who may not have a lot of disposable income, but if you live beyond the period of the policy, you and your beneficiaries receive nothing. Permanent insurance (often referred to as whole life insurance) is more expensive initially, but it will provide lifelong coverage and a cash accumulation feature, which can help supplement your retirement plan. Sometimes, the best solution is a combination of both term and permanent life insurance. The term policy can give you extra coverage during the years when the children are at home and the permanent policy can provide life-long coverage. How Much Life Insurance Should I Purchase? Both working and stay-at-home moms need life insurance. While a stay-at-home mom may not contribute an income, it would be expensive to replace all the things she does if something were to happen to her. If the income that a working mother contributes is important to the family financially, she needs to replace that income if something were to happen to her. Don’t be tricked into thinking the group insurance you have through your employer is adequate coverage. 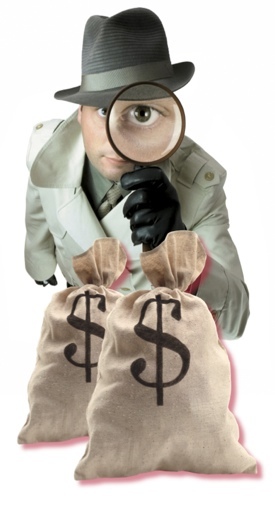 Usually, that coverage is given in a lump sum of money – maybe $50,000. That may sound like a lot, but think about how long that money would actually last. Plus, if you leave that employer, the policy is normally terminated. For an estimate of your life insurance needs, check out this life insurance calculator. Then contact American Insuring Group at (800) 947-1270 or (610) 775-3848. We're independent life insurance agents offering a variety of life insurance plans from many competing companies, so we're free to find you the best deal on the right life insurance protection to meet your specific needs. Contact us today. I s there a non-profit organization near and dear to your heart that you would like to assist financially? Maybe it’s a religious organization, a pet shelter, or a children’s home. You aren’t alone. It turns out that we are a very charitable people with more than 95% of American households giving an average of just under $3,000 a year to charity. But, do you ever wish that you could do more? There is a way to give more financial support to your favorite charity. A life insurance policy can provide the opportunity to make a much larger gift to charity than you might otherwise be able to afford. Although the cost to you (your premiums) is relatively small, the amount the charity will receive (the death benefit) can be quite substantial. Yes, that charity may have to wait for the donation, but as long as you continue paying the premiums, the charity is guaranteed to receive the proceeds when you die. Plus, this method may provide some unexpected advantages. Because life insurance is a contract that passes outside the will, it cannot be contested in probate proceedings. The payment of a life insurance policy death benefit is private—not a matter of public record. Although payment of the life insurance death benefit is deferred, the charity may be able to use the cash value immediately. The charity does not pay income or estate tax on the benefit. There are no probate delays. Assets are preserved for the donor's family. Since life insurance proceeds paid to a charity are not subject to income and estate taxes, probate costs, and other expenses, the charity can count on receiving 100 percent of your gift. You can make a charity the beneficiary of an existing policy. Maybe you took out the policy when you had children living at home; now all those children are grown and independent. They don’t need your financial support. If you name the charity as the beneficiary of the policy, they will receive the policy’s death benefit when you die. Although there are no current tax benefits with this approach, the value of the policy will be removed from your estate for federal estate tax purposes. Plus, if the policy is a form of cash value life insurance, you still have access to the cash value of the policy during your lifetime. You can make a charity the owner and beneficiary of an existing policy. With this approach, you transfer full ownership of the policy to the charity. You would make annual tax-deductible gifts to the charity in an amount equal to the premium, and the charity would pay the premium to the insurance company. Upon your death, the charity will receive the policy’s death benefit. This approach also removes the value of the policy from your estate for federal estate tax purposes and provides you with current federal income tax deduction. To do this, you must assign all rights in the policy to the charity. By doing this, you give up all control of the life insurance policy forever. This strategy provides the full tax advantages of charitable giving because the transfer of ownership is irrevocable. You can have a charity purchase a new life insurance policy on your life. With this approach you must arrange to pay the premiums through gifts to the charity, but it also provides federal income tax deductions and the policy proceeds aren’t included in your estate for federal estate tax purposes. You can use a life insurance policy in conjunction with a charitable remainder trust. This approach is pretty complex and requires an attorney to set it up. However, it provides greater tax advantages than other, simpler methods. To find out more about giving the gift of a life insurance policy to your favorite charity, contact American Insuring Group at (800) 947-1270 or (610) 775-3848. 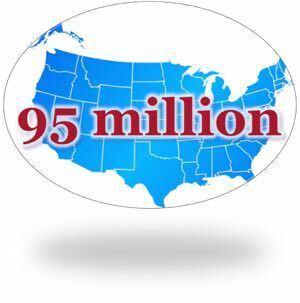 Currently, 95 million Americans live without life insurance and only one-third of consumers are covered by individually-owned life insurance policies. So, if you’ve taken any time to think about life insurance and how to best protect your loved ones in the event of your death (which, let’s face it, is inevitable), you’re probably patting yourself on the back, telling your family how lucky they are to have such a responsible person in their lives, and never gave that policy another thought. Well…. Yes, they are lucky to have you, but the fact is there are times when you should re-evaluate your policy. One survey found that nearly eight out of 10 people have never changed or even thought about changing their life insurance policies. The circumstance of your life can change, and your life insurance needs may change with them. The size of your family changes. If you get married, have children, get a divorce, or watch a grown child leave the nest, you may want to change the amount of life insurance coverage on your policy. If your spouse relies on your income to maintain his or her current lifestyle, you may want to increase your coverage to pay off certain debt in the event of your death. If your family grows with the addition of children, you may want to make sure there’s enough money to pay for expenses such as a college education or a wedding in the event of your death. When (hopefully not if) your children grow up, get their own place, and become financially independent, you may want to reduce the amount of your policy. Plus, you may want to change the beneficiaries on your policy. Imagine having a life insurance policy with your ex-wife or a deceased parent as the beneficiary. You may also want to add your children as backup beneficiaries in the event that something happens to both you and your spouse at the same time. The amount of your debt changes. In the event of your death, your debt can become your family’s burden. If you’ve taken on any significant debt, such as a mortgage or student loan, since purchasing your life insurance policy, you may want to increase your coverage. Then again, if you pay off a mortgage or student loan, you may be able to reduce the amount of coverage or even cancel certain life insurance policies. Look at your entire financial picture to see if there are other needs for life insurance. If not, cancel the policy or reduce the benefit amount and enjoy the savings on your premiums. You may have purchased a term life insurance policy with the assumption that your children will eventually become self-sufficient and no longer need your financial support. If one of your children becomes disabled, they may need your financial support for a longer period of time. In this case, you may want to consider taking out a permanent policy that will provide for the child no matter when you pass away. You purchased your life insurance policy prior to 2009. This may seem odd, but 2009 is the year that insurance companies were required to switch to the 2001 mortality tables (the previous table was from 1980), which shows that people are living longer, paying into their insurance premiums longer, and delaying when the policy is paid out. As a result, your monthly premiums may be lower. Although you can’t renegotiate your existing policy, you can ask your independent insurance agent to shop around for a lower quote on the same policy. You may end up with a lower premium. If you’ve experienced any of these changes, since you purchased your original life insurance policy, contact the independent insurance agents at American Insuring Group at (800) 947-1270 or (610) 775-3848. We offer coverage from competing insurance carriers, so we can find the best deal in terms of quality and coverage, so go ahead and take the challenge. We can take a look at your policy to make sure you have the right coverage for your current circumstances, and then you can pat yourself on the back again! Ideally, when you retire you are financially stable enough that your death will not leave your spouse or a loved one struggling to make ends meet. So, the question becomes, “Do I really need to keep paying on my life insurance policy after I retire?” Life insurance is not really intended to insure your life; nothing can truly replace your life. Life insurance is intended protect your surviving loved ones from financial loss upon your death. It’s interesting to note that some people have a hard time letting go of their life insurance policy. They think, “I’ve paid on this life insurance policy since I was 25. I can’t just cancel it. I didn’t get anything out of it.” Those same people rarely say that about other types of insurance. For example: Let’s say you have insurance on a motorcycle you own, and you decide to sell the bike. Would you continue paying the insurance premiums for that bike? No, of-course not, and you’d probably be glad you never needed to make a claim and relieved not to have to pay the premiums anymore. Financially, the “I haven’t gotten anything out of it yet” scenario isn’t a good reason to continue paying on a life insurance policy; however, there are a few scenarios in which keeping an insurance policy after retirement may make sense. 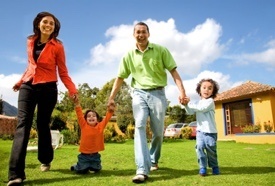 If your family relies on a spouse’s monthly pension payment, and that spouse chooses the higher payments of a plan that is based solely on his/her life expectancy, rather than the lower payments of a “joint and survivor” benefit option or if only a low percentage of the pension is paid to the surviving spouse, you may want to consider keeping your life insurance policy to avoid a financial hardship for the surviving spouse or family members. Many couples are choosing to have children later in life. If you retire and still have children who rely on you for their financial security, a life insurance policy can help. For some parents, it’s important to leave their children (even financially-secure, grown children) an inheritance. A life insurance policy can provide your children extra financial security for years to come. Naming your favorite non-profit organization as your primary beneficiary is a great way to pay a little each month and leave a substantial amount to a charitable cause. If you’re leaving behind a large, illiquid estate, the taxes your beneficiaries will need to pay can be significant. A life insurance policy can help maintain your estate without affecting their personal assets. If you are a business owner or partner of a company with illiquid assets, you may want to consider keeping your life insurance policy. Illiquid assets are subject to both taxation and market flux. 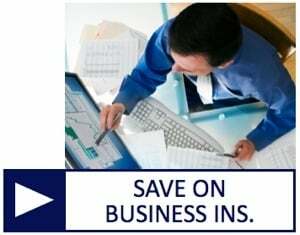 A life insurance policy can ensure that your business won’t have to liquidate corporate assets. Temporary or Permanent Life Isurance Policy? Learn More About Life Insurance - Contact Us! Life insurance can be a difficult topic to discuss. There is no one-size-fits-all approach to retirement or to life insurance. At Amerian Insuring Group we can help you determine your best course of action regarding life insurance after retirement; please contact us at (800) 947-1270 or (610) 775-3848. Could Someone Take out a Secret Life Insurance Policy on You? A 25-year-old wife falls to her death while hiking with her husband. The woman’s mother, convinced that her son-in-law pushed her daughter over the edge, goes on a relentless hunt to prove his guilt. The authorities, dismissing the accusations as the rantings of a grief-stricken mother, ignore her claims. That is until they discover that the husband secretly took out a million dollar life insurance policy on his wife just days before her death. Is this just a plot for a classic film noir masterpiece or could it really happen? Could someone buy a secret life insurance policy on someone else – maybe even you? Most life insurance policies require a medical exam of the person being insured. Most policies require you to sign an acknowledgement letter that will allow the insurer to access your medical information. Even policies that don’t require a medical exam will require the signature of the insured. It has become standard practice for most insurers to make a follow-up phone call to the person being insured to verify the information on the application. Insurance companies make sure that the person buying the policy has an "insurable interest" in the insured, based on marriage, blood, or business relationships. What About Secret Employer-Based Life Insurance Policies? Up until 2007, employers could purchase life insurance policies on their employees without their employees’ knowledge or consent. In the event of an employee’s death, the employer would receive the benefits of that policy. These were known as “dead peasant” policies (lovely, right?). If you want to go hiking with your spouse, go ahead. The chances that he or she has taken out a “secret” life insurance policy on you are slim to none. To learn more about obtaining the best life insurance protection, contact us at (800) 947-1270 or (610) 775-3848. As independent Trusted Choice insurance agents, we offer life insurance policies from competing carriers, so unlike single-brand agencies, we are equipped to find you the best deal that truly meets your insurance needs. Call today. Most people don’t want to think about life insurance; it’s something they pay for and hope they never use. But, let’s face it - you just never know when life is going to throw you a curveball. It’s what makes life so incredibly exciting sometimes and so very scary at other times. Insurance can help you and your family field many of life’s curveballs, but too many people don’t think about insurance until it’s too late. Here are three curveballs that the right insurance can help you and your family handle. 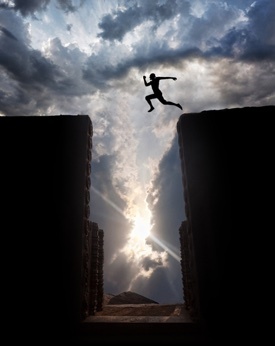 Benjamin Franklin said, “In this world nothing can be said to be certain, except death and taxes.” We are all going to die; fortunately, the odds of dying at a young age are pretty slim. In fact, the odds of a 25-year-old American dying is about 1 in 3,000; for a 33-year-old, it’s 1 in 1,500; and for a 42-year-old, it’s 1 in 750. Comforting, right? What if you have the misfortune of being one of the “1 in”? If you haven’t planned for this curveball, the financial consequences can be devastating to those you leave behind. Younger individuals often have additional debt, such as student loans and mortgages. Many have young children who still have a lifetime of expenses ahead of them. Life insurance can financially protect your loved ones. A man reaching age 65 today can expect to live, on average, until age 84. A woman turning age 65 today can expect to live, on average, until age 86. And those are just averages. About one out of every four 65-year-olds today will live past age 90, and one out of 10 will live past age 95. 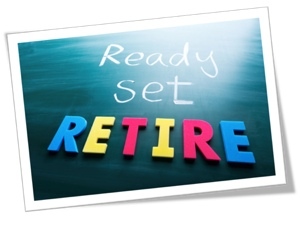 Traditionally, most people expected about 15 years of retirement. Today, it can be 20, 30, or even longer. This is awesome, right? Absolutely - if you’ve prepared for this particular curveball. A permanent life insurance policy can provide much-needed funds to help supplement your retirement income. You can also get a long-term care rider on permanent life insurance that can help cover long-term care costs. Just over 1 in 4 of today's 20 year-olds will become disabled before they retire. One in eight workers will be disabled for five years or more during their working careers. Are you prepared this curveball? Probably not. • The average group long-term disability claim lasts 34.6 months. • 5% of working Americans say they could not cover normal living expenses even for a year if their employment income was lost; 38% could not pay their bills for more than 3 months. Disability insurance is important to help you make ends meet until you’re able to go back to work. Plus, many life insurance policies allow you to add a disability waiver to cover certain expenses if you become disabled, and some permanent life insurance policies have a premium waiver in the event you become disabled. Insurance Protection for Those Curveballs! 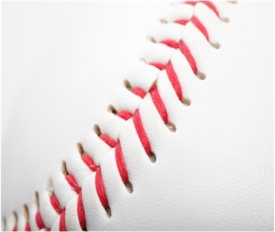 American Insuring Group can help protect you and your family from life’s unexpected curveballs. Contact us by email or give us a call at (800) 947-1270 or (610) 775-3848. Have you ever wondered what factors determine your life insurance rates? Is it just your age…the state of your current health? Is there anything you can do to make your life insurance more affordable? Insurance companies look at several factors to determine the likelihood that A) you’ll live a very long life, or B) you’ll die very soon. As depressing as that may sound, it’s a fact, and it’s what determines your life insurance premium. What Do Life Insurance Companies Consider When Setting Your Premium? While every insurance company has its own underwriting criteria to determine your premium, you may be surprised by some of the factors they look at. What isn’t surprising is that many of the factors that determine your life insurance premiums can also affect the quality and/or length of your life. Some you can change and some you can’t. Here are eight factors many insurance companies use to determine your life insurance premiums, and some tips on how to get a better rating and save on your life insurance policy. If you’ve had two moving violations in the past year or a DUI in the past 5 years, you may be considered a reckless driver, which could put your life in danger and pose more risk for the insurance company. There isn’t much you can do about existing violations, but you can SLOW DOWN and not drink and drive. If you have group life insurance from your workplace, the premiums are based on the average age and health of everyone, not just you. So if you work with a group of individuals who are older and less healthy than you, it may raise your premium. On the other hand, if you work with a group of individuals who are younger and healthier than you, it may lower your premium. 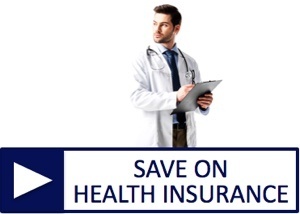 Make sure you compare the price of an individual health insurance policy before jumping into a group plan. Individuals who have filed for bankruptcy are considered a high-risk proposition and many insurance companies won’t even issue a policy until their credit report has been cleared. Make sure you consider all the alternatives and consequences before filing for bankruptcy. Are you a daredevil? Do you prefer skydiving to reading…car racing to gardening? Certain hobbies can disqualify you from getting the best rate on life insurance. Even travel outside of the country can increase your premiums. So, consider the increased cost of life insurance when weighing the pros and cons of your career choices. Higher-risk occupations, such as airline pilots and high-rise construction engineers, can create a higher risk for premature death, thereby causing higher life insurance premiums. Solution – choose your occupation wisely. We all know smoking can raise your risk of stroke, lung disease and many other life-threatening medical conditions; therefore insurers often charge smokers a higher premium. One more reason to kick the habit. There are a number of diseases related to being overweight that can shorten your lifespan. Most insurers look at height, weight, and body mass index (BMI) to determine your premium. Plus, many insurers want to see you keep that weight off for at least one year before they will offer you a better rate. So if you were looking for that final push to get you started on an exercise and diet plan, think about all the money you can save on your life insurance premiums. Your family’s medical history shows what diseases you may be prone to. You can choose your friends, but not your family; however, you can choose to protect your family with the right level of life insurance, and you can ask your doctor for advide on how you may be able to reduce your health risks through proper diet, exercise, and other factors in light of your family medical history. Ready to Talk Life Insurance? 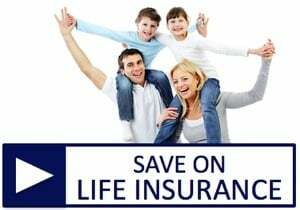 Contact American Insuring Group at (800) 947-1270 or (610) 775-3848 to learn more about your life insurance options, or for a free quote on life insurance. Why Customers Love and Trust Us! 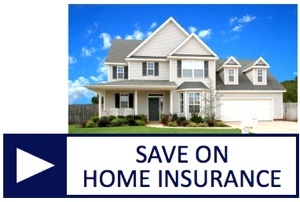 Get the Right Coverage and Save Big with American Insuring Group! Serving Pennsylvania with affordable car, life, health, homeowner’s, renter’s, business, commercial, and other types of property insurance for over 30 years. Philadelphia, Pittsburgh, Allentown, Erie, Reading, Scranton, Bethlehem, Lancaster, Harrisburg, Altoona, York, & State College Pennsylvania areas.